Summary: After trained examiners and accomplished business professionals performed a thorough assessment of his work, Jacob Stoller has been selected as the recipient of an internationally recognized award from the Shingo Institute, a program in the Jon M. Huntsman School of Business. The author will receive the award at the Shingo International Conference occurring April 28–May 3, 2019 in Cincinnati, Ohio. LOGAN, Utah — The Shingo Institute, a program in the Jon M. Huntsman School of Business at Utah State University, has awarded Jacob Stoller with the Shingo Publication Award for his book, The Lean CEO: Leading the Way to World-Class Excellence. Jacob Stoller is an author, speaker, and consultant specializing in strategic management and communication. A frequent commentator in the business press, Mr. Stoller has delivered a variety of keynote speeches and learning events in the US, Canada, and Europe, and authored reports, training materials, and other corporate documents for clients such as Kaizen Institute, Microsoft, Dell Computer, Staples, and the Conference Board of Canada. The Lean CEO explores enterprise-wide Lean adoption through in-depth interviews with some of the best known Lean-practicing CEOs. Readers learn first-hand how these exceptional leaders applied Lean to boost profitability, empower employees, and forge closer bonds with customers and suppliers. 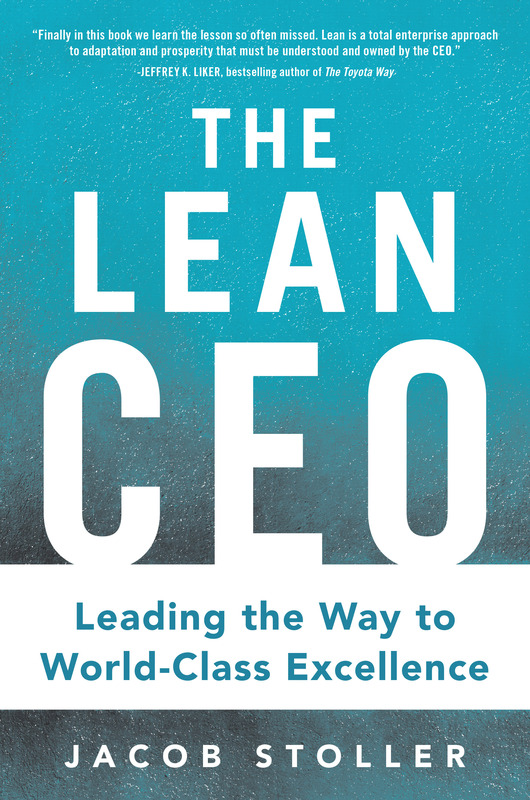 The Lean CEOs, who represent organizations from 50 to 50,000 employees, speak to readers inside and outside the Lean community. These are leaders who have diverged from conventional business practices and achieved remarkable results. Using the leaders' remarkable success stories, the book demonstrates that Lean leadership is not determined by personality, but by a clearly-defined set of core beliefs that all the Lean CEOs shared. While there was considerable diversity in personal attributes and leadership styles, all of the CEOs shared the same basic assumptions around the importance of going to the gemba, the power of continuous improvement, and most importantly, the fact that people truly aspire to the best work they are capable of and will exceed all expectations when given the opportunity. The book is written for readers inside and outside of the Lean community. Lean practitioners and managers will find dozens of insights on how Lean efforts are perceived by senior managers, board members, customers, and suppliers. Those new to Lean will learn how Lean changes organizations, what those changes require, and about the many opportunities that Lean presents. Mr. Stoller will receive his award at the awards ceremony during the Shingo Conference in Cincinnati, Ohio, USA on April 28–May 3, 2019. The conference is a week-long event featuring a selection of workshops, plant tours, keynote speakers and breakout sessions designed to provide ongoing knowledge, insights and experience for organizations in pursuit of operational excellence.